Japanese Hand Craft owner blog: Who is Yasokichi Tokuda III? Who is Yasokichi Tokuda III? Yasokichi Tokuda III was born as Masahiko and started potting at 18 years old. He took the potter name Yasokichi in 1988 from his father. 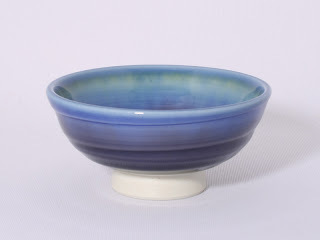 His grandfather, the first Yasokichi reproduced many of Kutani's lost traditional glazes. The skills have been taken over Yasokichi III with tremendous acclaim.